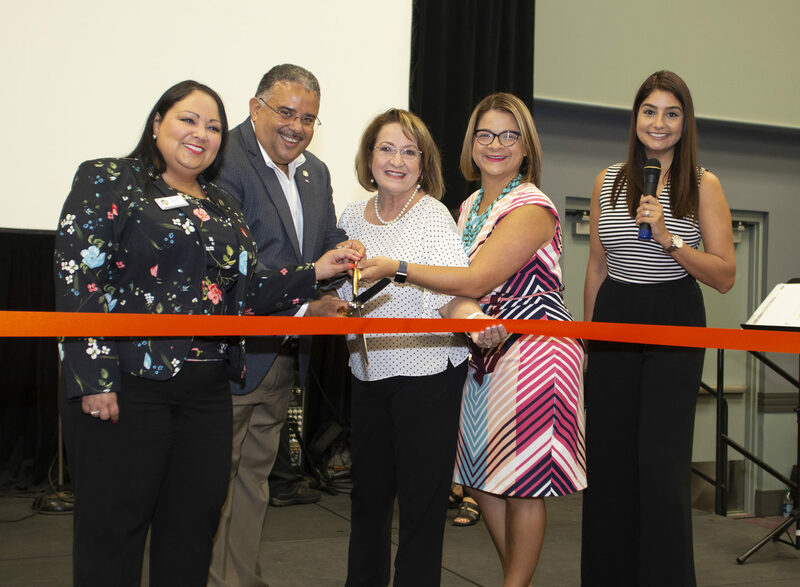 Orange County Mayor Teresa Jacobs together with the Osceola County Board of County Commissioners and the Government of the Commonwealth of Puerto Rico hosted the free Health and Family Expo at the Orange County Convention Center to provide information and resources for Hurricane Maria evacuees from Puerto Rico and the U.S. Virgin Islands on Aug. 4, 2018. The two-day event, held at the Orange County Convention Center, featured a Sponsors and Exhibitors Breakfast on Friday, Aug. 3, where community leaders discussed ongoing efforts and assistance for those affected by Hurricane Maria. As Hurricane Maria victims continue to recover, the Health and Family Expo focused on providing information related to housing, employment, education, health and wellness from various businesses and vendors. The Health Department of Puerto Rico was on hand to provide records and assistance for evacuees. Secretary of Health Dr. Rafael Rodriguez Mercado attended the event and said that this was the first time within state of Florida, where Puerto Ricans could apply for vaccination records, birth, death and marriage certificates. Each of these legal documents are vital to establishing residency and allows for school registration, driver’s license application and establishing a form of identification, which many lost in the storm. For continued assistance in obtaining these and other official documents, please visit or contact the Puerto Rican Federal Affairs Administration (PRFAA) office at 6925 Lake Ellenor Drive, Suite 100, Orlando, FL 32809 or 407-776-9000. The PRFAA is operated by Ilia Torres, Regional Director. Since the earliest days of the Hurricane Maria disaster, and in keeping with Central Florida’s long history of neighbors helping neighbors and culture of care and compassion, Orange County Government collaborated and partnered with numerous organizations and local agencies to assist in relief and recovery efforts for brothers and sisters from Puerto Rico and the U.S. Virgin Islands impacted by Hurricane Maria. “Together, we are committed to creating a bright future, filled with opportunity and promise, for all,” Mayor Jacobs added. The Central Florida community has responded with compassion, care and action. Before FEMA or state authorities mobilized resources, Central Floridians were already hard at work assisting in recovery efforts. Orange County Government collaborated and partnered with numerous organizations and local agencies to aid in relief for victims. In the weeks following Hurricane Maria, Orange County created a special webpage, “Hurricane Maria Disaster Relief: United We Can Do More.” This resource page provides information and details about how and where residents can help and shares ongoing efforts from local organizations.